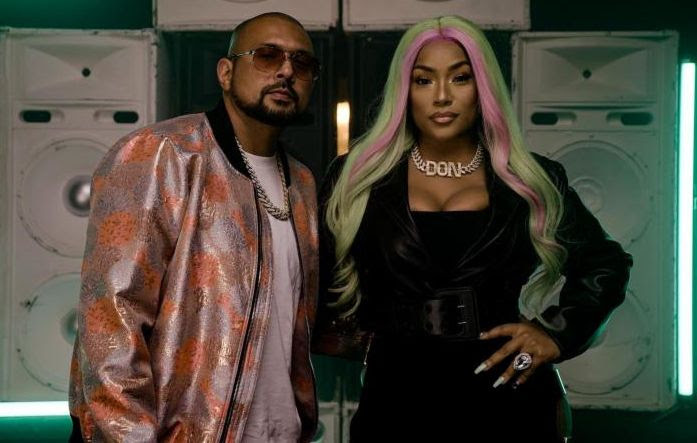 Multi-platinum selling, award winning dancehall artiste Sean Paul has released the visuals for his stimulating dance single Shot And Wine with Jamaican-British artiste Stefflon Don. With the lyric video accumulating over 2.9 million views, the official music video has already received over 73,000 views only hours after its Friday, February 15 release on Youtube. Shot And Wine weaves a vibrant hook and hard-hitting lyrics highlighted along a thumping beat produced by Banx & Ranx and Shakka. The flexibility of Stefflon’s delivery and Sean’s pace-making lyrics make the track easily a dance hit for the year. On the track, Stefflon Don asks her male counterpart to “tek time”, while Sean Paul asks his partner to pull off some impressive splits, dips, flips, while moving her hips. The lyrics show off the 50 Shades of versatile in the Jamaican acts; as the beat gets more intense, so too do the lyrics. Sean Paul infuses the vibe of the “grind” reminiscent of the time when people would “rent a tile” in the clubs. Stefflon Don doesn’t back down, rapping her own stamina-challenging verse, and it all comes together on the sing-along chorus. hiphopdx in their review of the track. MTV News too had only good things to say about the single, describing it as “an infectiously good beat and the bars to match”. Stefflon Don and Sean Paul were also featured on Wiley’s Boasty track with Idris Elba, released on Monday, January 21. Sean Paul will next entertain fans in in Cayman at the Kaaboo Festival on Saturday, February 16, before heading to Costa Rica for the Picnic Festival on Saturday, March 02. He will also blaze the stage at Universal Studio’s Mardi Gras in Orlando Florida on Saturday, March 10 where headliners such as Ziggy Marley, Macklemore, Becky G, Pitbull and more will showcase full sets. The Mad Love artiste has also announced a UK tour spanning May and June 2019. He is slated to ignite the tour blaze in Europe with two shows on Saturday, May 25 when he will hit the stages at Portmouth’s South Central Festival, as well as the Speedmachine Festival in Northampton. The tour continues with stops at the Nottingham Arena, The SSE Hydro Brighton Centre, and the Inside Out Festival, to name a few. The #SPFam can access all Sean Paul’s Tour Dates on his website www.allseanpaul.com, Bandsintown or on his Facebook at @seanpaul. 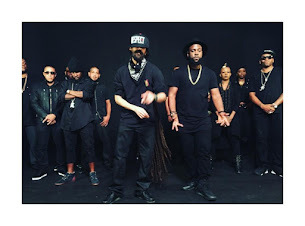 Fans can also stay updated on Sean Paul on twitter and Instagram @duttypaul.